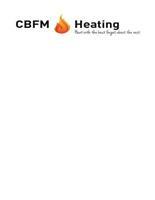 CBFM Heating - Central Heating Engineer, Plumber based in Team Valley Trading Estate, Tyne And Wear. CBFM Heating is a family orintated company who strives to give the best service to customers that contact us and when we carry out any jobs. The heating element of the business is relatively new and has been going for around six months. We are looking to develop and grow this in the North East area. We are slowly building up our customer base and already have repeat customers coming back to us. We offer a large range of plumbing and heating services, we are gas safe registered and can do work on LPG and commercial systems. If you are unsure on a job that you need completing, it is worth contacting us and we can quickly find out and let you know if we can do something, we prefer being honest with customers from the start.